Thank you so much to our customer, Tara, for sending us this quick and easy snack recipe. Try it today! Slice the Apple and put on a plate. In a small bowl, mix together the Almond Butter and the Cricket Powder until well-blended and smooth. 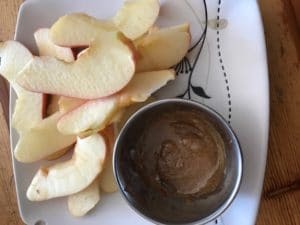 Spread the Almond Butter and Cricket Powder mix on the Apples.